magic42 was born from Mobile Fun an award winning global retailer of mobile accessories. Our team have migrated 27 international websites from a bespoke platform across to Magento. 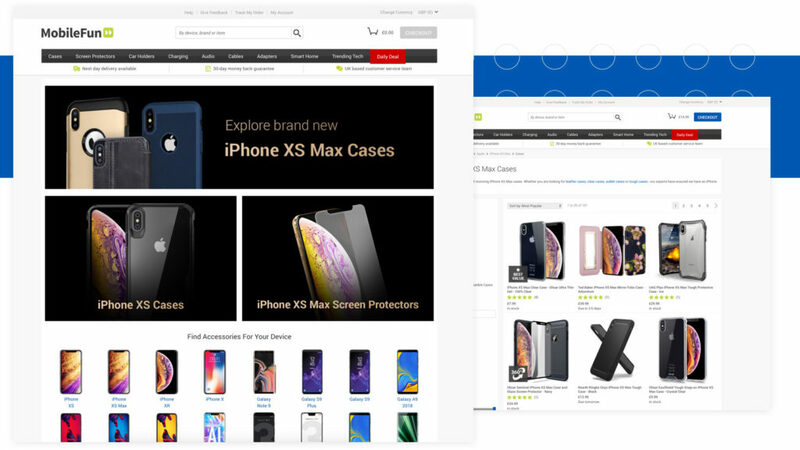 The migration from a bespoke platform to Magento were essential to help Mobile Fun continue to scale up the competitive world of selling mobile accessories. The process to migrate all 27 international websites to Magento presented the opportunity for a complete redesign to the front end, improving efficiencies with the bespoke stock management software and allowing international customisations and maintaining SEO rankings, showing the flexibility that Magento has, to name a few. The sites have integrations with numerous payment providers and couriers including DHL, Collect+, Royal Mail and Hermes. 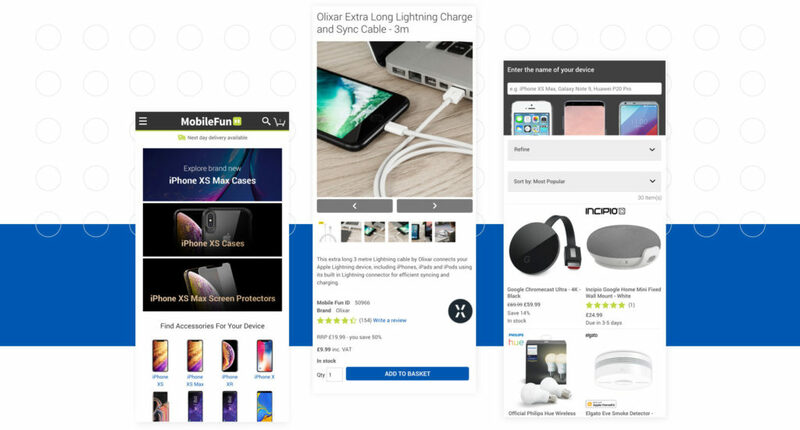 We built a fully integrated integration with Mobile Fun’s bespoke backend system “Fusion” to process orders, allocate stock, run the warehouses and offer advanced merchandising functionality. We also have built an iOS app for their hugely loyal Apple iPhone owning customers, which has greatly increased engagement with the brand. Since launching, there have been many features that have been developed to continue to optimise and improve the conversion rate and user experience on the website. These are some of the highlights. The ability to replicate the success made in the UK was of high priority when expanding to new locations around the world. With huge amount of international traffic, giving the user the choice to go use their local country rather than using the UK website meant that currencies, deliveries and languages would be most familiar with the user.